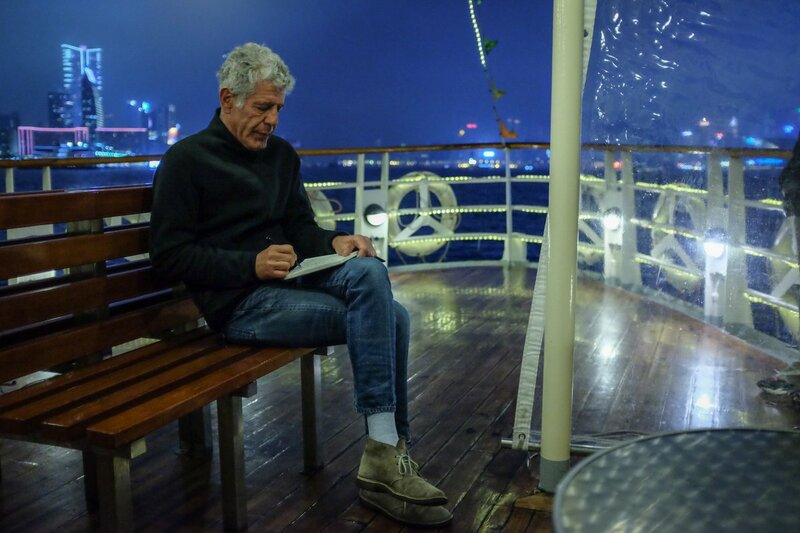 This evening while I was out for dinner, my colleague texted me to say that celebrity chef Anthony Bourdain had committed suicide. He was 61 years old. 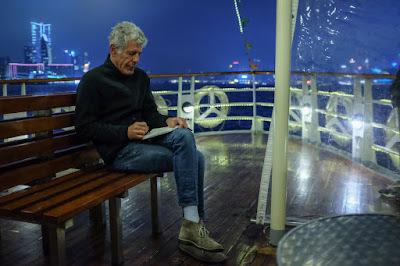 It was such a shock to read the news, with scant details at the time, that he was found dead in his hotel room in Strasbourg while filming his TV show, Parts Unknown. Only a few days ago his episode on Hong Kong had aired and people I know who were in it was very excited to see it on the small screen. 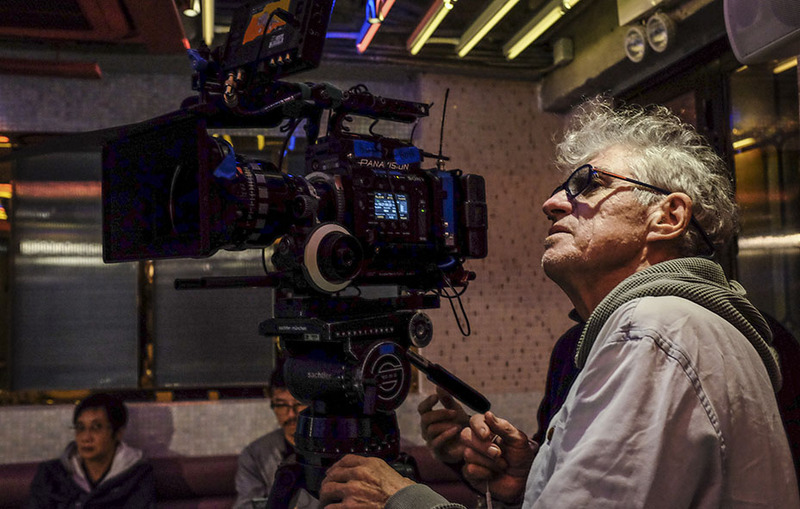 Bourdain has visited Hong Kong several times, but in this episode he enlisted the help of cinematographer Christopher Doyle to star in and shoot some scenes. The well-traveled chef has admired Doyle's work for years, citing Chungking Express and In The Mood for Love as his favourite movies. For Doyle, creating art is a moment in time that can't be recreated -- spoken like a true artist. In the show Bourdain looks thrilled just to hang out with the filmmaker. 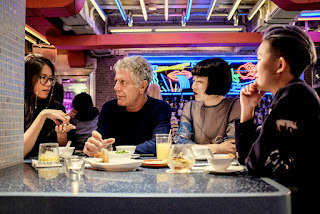 And he isn't just interested in eating, Bourdain wants to get to know Hong Kong better than a tourist. He learns the city is changing so fast that young people are nostalgic for their childhood, and are sad when shops they knew when they were young are shuttered. But it's a fact of life in Hong Kong. He also finds life for local people has changed in the last 10 years with the government making it more difficult to express themselves even though it is enshrined in the Basic Law. There is even a scene of a man who fixes umbrellas for a living and gives tips on how to keep them in good condition. I didn't even know there was such a service available, but the man says people like to repair umbrellas because they have sentimental value if they were given to them by loved ones. To say Bourdain is a champion of Hong Kong is an understatement and we haven't even gotten to the food yet. He is not judgemental at all about it until he puts it into his mouth and tries it. Everything from macaroni in soup with spam and fried egg to baked fish intestines to bamboo pole noodles covered in shrimp roe. He evaluates them for the taste and tries to understand ad appreciate how these dishes came about. Bourdain's love affair with Hong Kong is so evident in his shows, which endeared him to local people even more. We are sad that he left us too soon, but at least he fulfilled his wish to be in Hong Kong filming with Doyle. RIP.